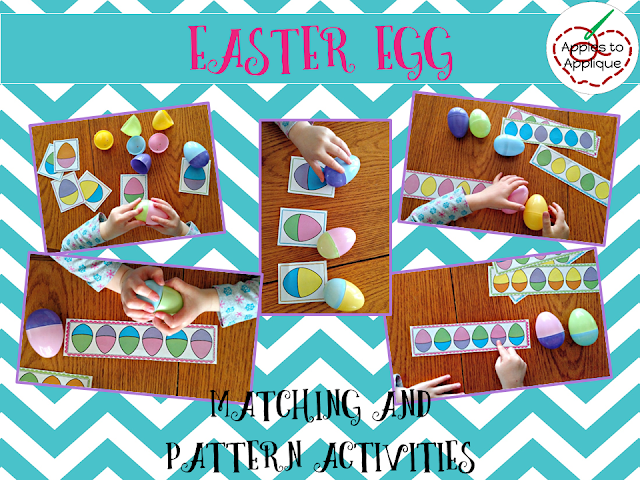 I'm excited to introduce this little activity to my students when we get back from spring break! 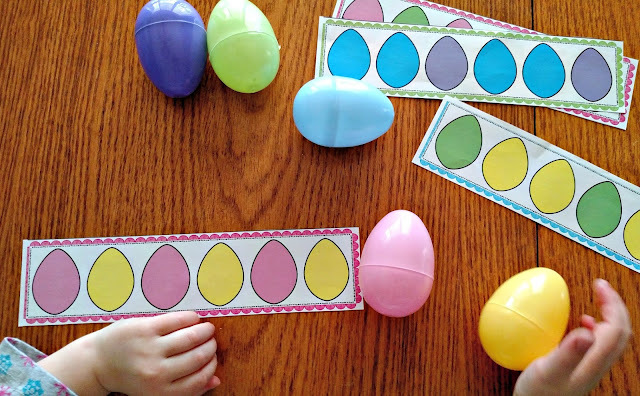 For whatever reason, they love playing with Easter eggs! Get yours here in my TPT store! I saw the original idea on Facebook, but expanded it to allow for differentiation. Level one is a set of cards with simple color matching. 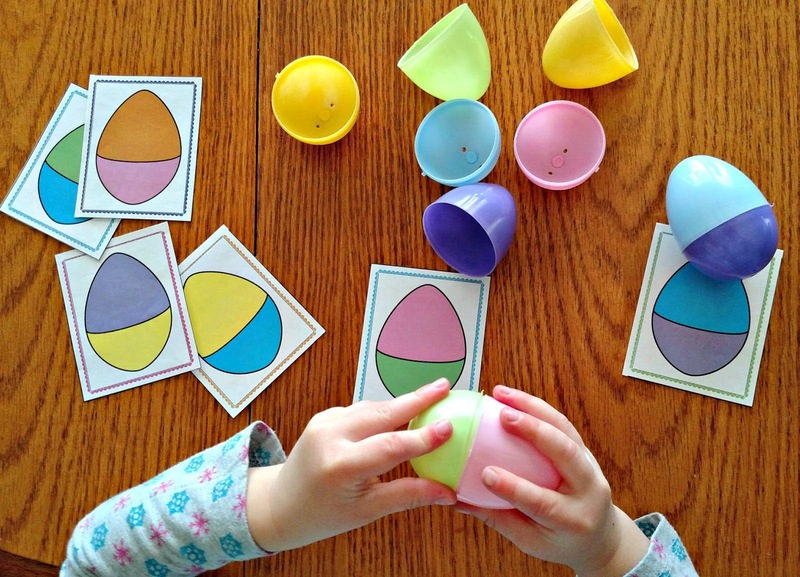 This is so good for their fine motor development! Just look at those little fingers work! 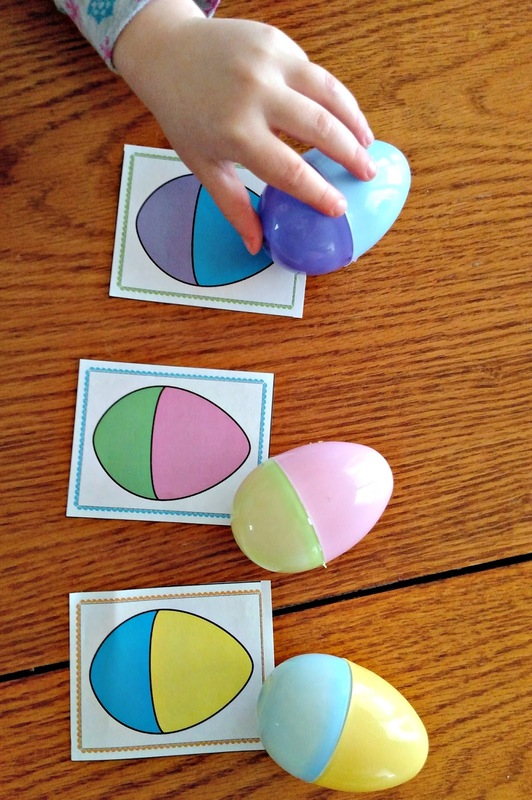 Level two is extending a pattern by matching single-colored eggs. 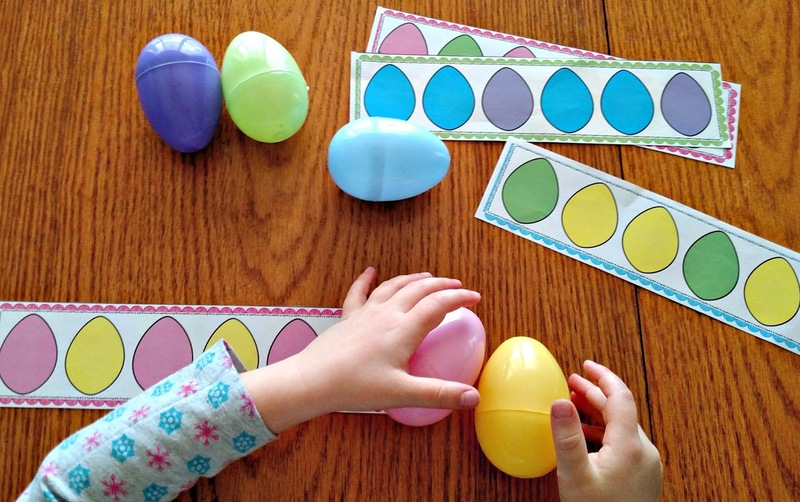 Level three is extending a pattern with multi-colored eggs. This really gets them thinking! More of that awesome fine motor practice! It's tricky to match patterns when the eggs are multi-colored! Great opportunity for higher level learners. 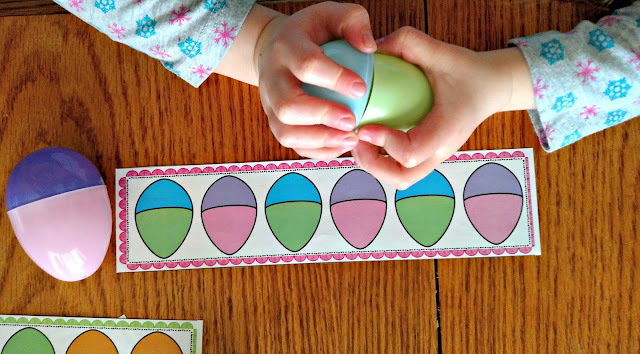 I love this activity because it allows for differentiation with very little prep--just print and cut the cards, and hand the kids a basket of Easter eggs. Get yours here in my Teachers Pay Teachers store! 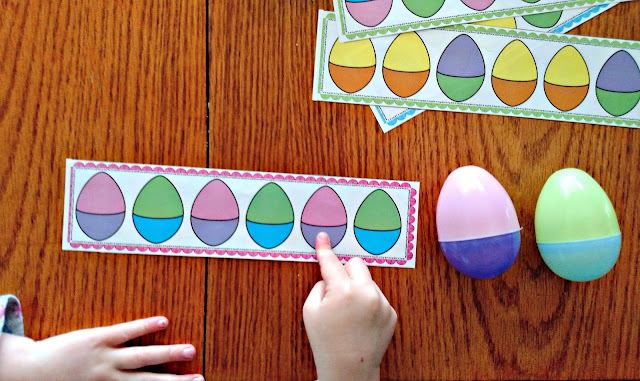 Testing Signs - Free Printables!